Demolition Control Supervisor And Foreman Discussing On Demolish Building. Lizenzfreie Fotos, Bilder Und Stock Fotografie. Image 116540833. Standard-Bild - Demolition control supervisor and foreman discussing on demolish building. 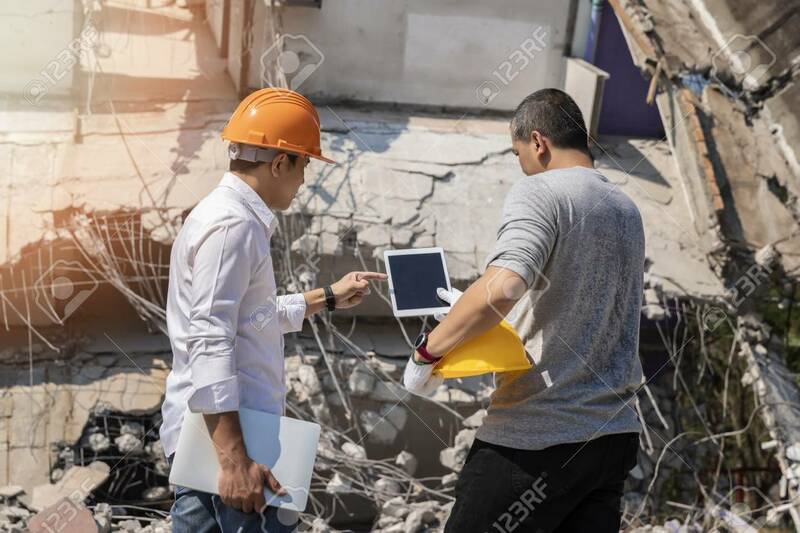 Demolition control supervisor and foreman discussing on demolish building.